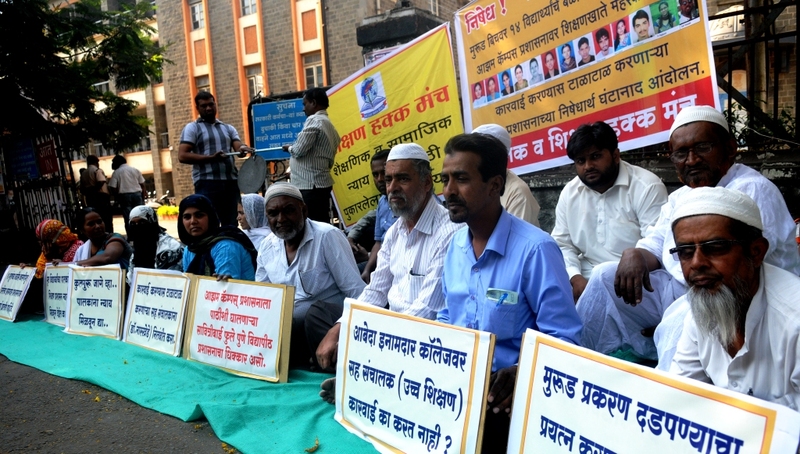 PUNE: Unhappy with Pune University led inquiry into the death of their children, the parents of Murud tragedy victims recently organised a protest at the central building to demand a detailed inquiry report of the tragedy. Thirteen students of Abeda Inamdar Senior College run by Maharashtra Cosmopolitan and Education Society were drowned during their college picnic. The parents also went to Raigad Superintendent of Police Mohammad Suvez Haque and demanded an FIR be lodged against the college management for negligence which led to the death of their children. Mateen Mujavar , Social activist and President of Shikshan Hakka Manch, a local NGO , who has been leading a sustained campaign against the Maharashtra Cosmopolitan and Education Society (MCES) headed by educationist PA Inamdar which runs the college said “ The inquiry report should have been submitted by now and the interrogation should have started, two months is a huge delay and the entire issue need to be probed into detail ,” he added. He further alleged that the university was delaying the matter so that the intensity of the matter reduces over time and eventually the parents stop protesting. “This is not going to happen as parents want a genuine investigation into the matter,” he added. The University had appointed a three member committee to inquire into the matter two months ago but no report had been submitted till date. Parents are angry and in deep distress as none of the officials are taking responsibility. The responsibility has to be fixed and the culprits need to be booked under relevant sections of the Indian Penal Code (IPC), he added. “We will continue our protest until our demands are fulfilled and if need be will also go to court as the judiciary is the only option left for us,” said Shivaji Salgar, father of victim Swapnali Salgar. The parents had earlier approached the Director of Students Welfare of SPPU Sanjaykumar Dalvi, Joint Director of Higher Education VP Narkhede and Narendra Kadu from Registrar office of SPPU. However, no action has been initiated as yet, he added.